Description: The implementation of the Affordable Care Act (ACA) has resulted in many changes that affect addiction, mental health, and medical professionals, especially regarding substance use prevention and treatment services like SBIRT. This free webinar is designed to help you remain compliant with this historic legislation, as well as maximally benefit from it by integrating SBIRT into your current practices. Assist participants in understanding the new health system and processes providers and beneficiaries must follow under the ACA to provide screenings. Dr. Eric Goplerud is Senior Vice President and Director of the Public Health Department at NORC. Dr. Goplerud has more than 25 years in senior Federal leadership and non-governmental directing numerous studies and task forces on critical topics related to substance use and mental health integration in a range of health care settings, and curriculum development and training for health professionals. At SAMHSA, he directed the agency’s policy and planning office, developed and led the agency’s managed care initiative, led the agency’s science to service initiative, and oversaw the agency’s finance and quality improvement initiatives. 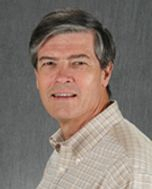 As a research professor at George Washington University, Dr. Goplerud directed a major Pew Charitable Trust funded project, Ensuring Solutions to Alcohol Problems, which was responsible for securing new SBI billing codes from AMA and CMS, increasing access to employer-sponsored substance use treatment which led to an increase of 500,000 working persons getting treatment annually, and helped remove UPPL law barriers to emergency department substance use screening in 17 states. At NORC, Dr. Goplerud currently co-leads with Dr. Tracy McPherson, three SBIRT learning collaboratives - the Adolescent SBIRT Learning Collaborative for Schools of Social Work and Nursing; the Brief Intervention Group (BIG) Hospital SBIRT Initiative, and BIG EAP/Workplace SBIRT Initiative. The BIG learning collaboratives have developed common SBIRT curriculum and training for health professionals, for employee assistance and other workplace behavioral health professionals, and for addiction professionals.